What do you think of when you hear "Cuba"? For the longest time, I always thought of it as the "forbidden land", as growing up, we were told it was a place Americans couldn't go. My interest in Cuba initially started a few years back when my bosses mother traveled there and said it was a wonderful place to visit. Since then, I have seen more and more people visit, and I hate to admit it, but I saw an episode of Keeping Up with the Kardashians that showed more of the city, the classic cars, the "isolated" view, that made me really intrigued. I wanted to travel to Cuba before things modernized, before the now open doors possibly closed again. 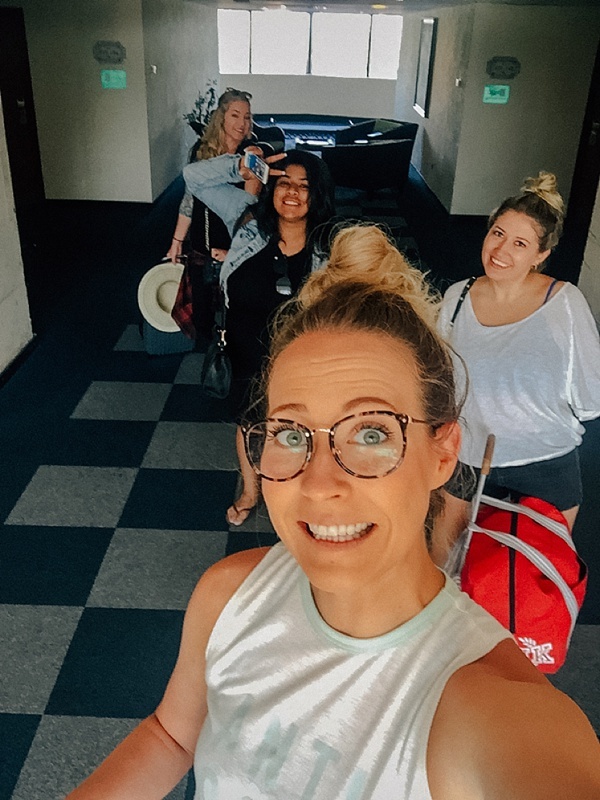 Back in May, a few girl friends and I took a trip to Mexico- it was my first official 'out of the country' girls trip and I was bit with the travel bug. On the way home, my friend Christina and I were talking about where to go next, and Cuba came up... we literally got home and booked the tickets the next day. 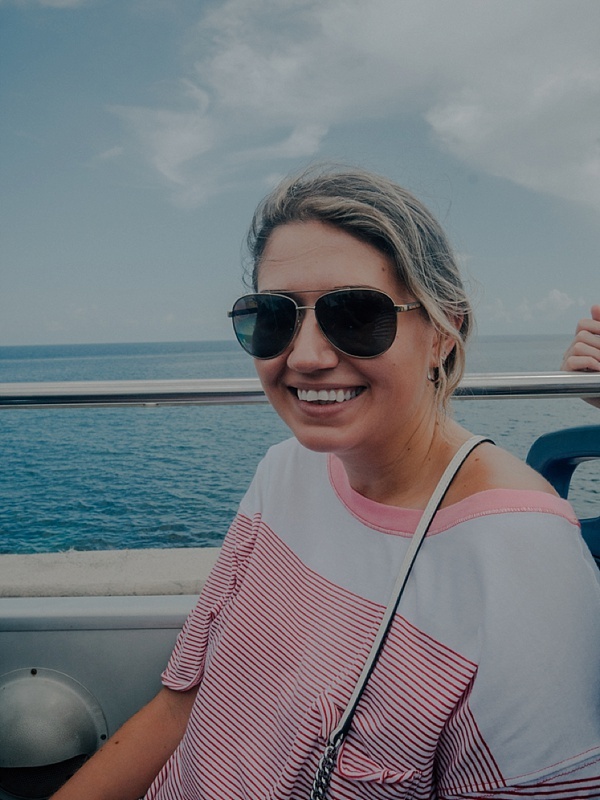 I wanted to write this blog post because I've gotten tons of questions since my trip; "what did you put as your reason to go to Cuba, how did you get in, how difficult was it, did they question you, ect, ect". Here is how it played out: we booked our tickets in May with Alaska Airlines (which BTW, is the best airline ever), and it was a direct flight from LAX to Havana for $400. We waited until June (after Trumps speech) to get our visas, which we bought through Cuba Travel Services , and they were $85 each. We booked our stay at this little AirBnb which was actually in the best location ever. On the day of our flight, we got to LAX about 2-2.5 hours early. Alaska has a separate area for people checking in for travel to Cuba, and the whole process took about 10 minutes. At this time we filled out a sheet that stated our reason for going to Cuba (support for the Cuban people), and we showed our Visa to the CTS people. Before boarding our flight, an attendant took our sheet that stated our reason and we took our seats. Before landing, we were given a standard immigration paper (asked where we were staying and if we were bringing anything into the country- if you've ever traveled internationally, it's very similar to those sheets). Once we landed and entered the airport we walked through immigration without a problem; they did not ask us what our plans were or why we were there. However there were some men walking around this area and did talk to the people standing behind us. These people said they spoke Spanish a bit and were there for educational reasons (if they would have talked to us we would have said we don't speak Spanish and were there for people-to-people), so I am not sure if they were questioning them or just more-so curious... basically just be quiet, and don't stare at the security people (lol). This whole process was super simple, our passports and visas got stamped and given back to us, and we were on our way. We exchanged our money at the airport (we got Euros in LA so that we wouldn't have to pay the tax on US $) to CUC and then we went to our Airbnb. Just as a heads up, you will need your passport to exchange money, as well as, buy internet cards (which you will find on Calle del Obispo) or sign up for any travel activities/tours. However, you can make a photocopy of your passport, or take a photo on your phone, and show that to people who ask- leave your actual passport in your Airbnb. In addition, the rates at all the banks are the same for money exchange, so don't feel like you have to shop around. Since I am writing about the airport right now, I will mention that leaving the country was just as easy. You present your visa to them when you leave (so don't lose your visa while you're in the country), and you board your plane (super simple). When we got back to LAX we went through immigration and the guy asked me the standard question of "are you bringing back XYZ "(tobacco being the Z). I said yes, to which he asked me how many cigars and if they were just for me. I told him the amount and said "of course they are all for me", and I was on my way out to my car. Super simple, no stress, no reason to be nervous. Alright so back to travel details: our Airbnb host picked us up and dropped us off at the airbnb and the airport. One thing to note/random fun fact, if you can bring toilet paper with you into the country, or wet wipes, do it! Everywhere you go outside of your Airbnb, you will need your own toilet paper. Our apt was close to Plaza Vieja, which is the main spot for entertainment in the evenings, also there are tons of restaurants and bars there. 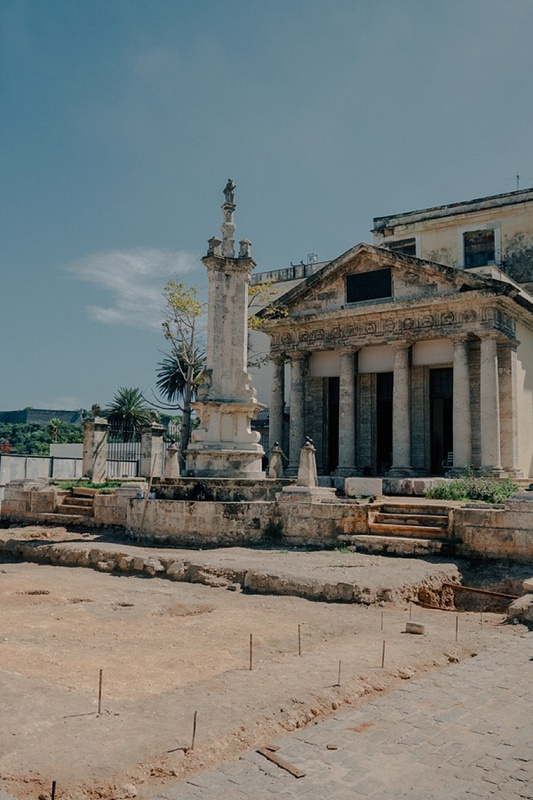 Havana itself is pretty small, and it is easy to walk everywhere you want within the city (download CUBA.ME app, it is an app that shows you where you are without using date). With this said we were really happy with the location. We did use taxis a few times, the price breakdown was as follows, all prices are round trip/per trip: 1. Hemmingway's house $30, 2. Playa del Este/Santa Maria Beach $30 3. Vinales (we worked them because they had to reschedule our tour, so we asked for money off) $120, 4. Taxi from Fortaleza de San Carlos de la Cabaña $10 (one way), 5. Taxi to Cuban Art Factory $20 6. Taxi to and from Airport was $25 each way. I typed up an itinerary for the trip which you can find at the end of this post. We didn't follow it at all, as it was just an idea keeper, but we did pretty much see everything on it, just at different times/days. The first few days we didn't really eat much at all because we were so hot, and just didn't want to eat. Drinks were anywhere from $2-$6, and the meals that we did have were somewhere between $5-$10. Water on off beaten paths was $.50/$1 and $2 on the main street (you can't drink tap water). We never did find a grocery store and only on the last day did we find where to buy water near our Airbnb, so try to scout it our or ask around on your first day, we were always so dehydrated and it wasn't as simple to find stores as we thought it would be. As we walked the streets we felt totally safe and we did get catcalled/called 'Lady' or 'Bonita' a ton. Some people would just say hello and some would ask us where we were from. We never felt threatened and freely told people we were from CA. Also, weirdly enough, although the city is buzzing throughout the day, once it hits about midnight, it becomes a ghost town, literally, not a soul to be seen, which kind of was great because walking home at night was calm and easy! Tips (you can find a document on these at the end as well): We walked around to find taxi drivers who might be cheaper, everyone charges the same prices... so don't try to shop around unless they are charging way more than $10-15. Skip going to Hemmingway's house... it's exactly as it is pictured online (nothing special, took us 10 minutes to see the whole thing), and this is the only place that we really got bit by bugs. Don't hop the wall over the Malecon (there is tons of glass and the water is full of petroleum, and it's not exactly allowed). Talk to the locals, make friends, everyone is nice and is willing to show you a good time. If you don't want to walk around but want to see sights, get on the Hop on Hop off bus (located near the Capitol)! It is $10 for the whole day and it takes you all around the city. There are two routes- we took the T1 bus to get to Fusterlandia (the T2 bus takes you to beaches), and saw most of the city, with a welcomed sea breeze whilst doing so (side note to get to Fusterlandia by this bus, you take the T1 bus all the way to the end of its route, and then get a taxi at the last stop $5 each way). 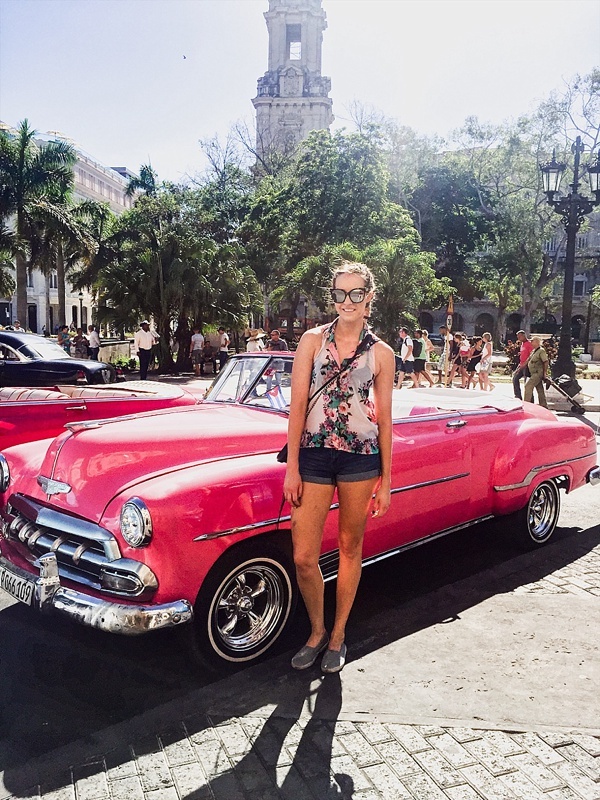 Overall traveling to Cuba was great! We were there for a total of 6 days (7 if you count the fact that our flight out got cancelled, but Alaska Airlines accommodated us beautifully), and that was enough time to see everything we wanted to see. We did want to go to Trinidad, but it was either Trinidad or horseback riding/getting cigars in Vinales, so we chose to go to Vinales. Also before we went weather.com said it would rain everyday, and it only rained once for about 5 minutes, so don't trust the weather online. The photos below were taken on a SonyA6300 and my Iphone 6 and they are kind of all over the place- enjoy!